There are plenty of daily activities on board Viking Ocean Cruises to keep you busy. Viking Sea has everything a discerning cruiser could want, bars, sports venues and shops. Aalborg is a city in the Jutland region of Denmark. It’s known for its revitalized waterfront on the Limfjord, the body of water that cuts through Jutland. Join Viking Ocean Cruises on this Scandinavia, Baltic Sea and Norwegian Fjords cruise from Stockholm to Sweden, Finland, Russia, Estonia, Poland, Germany, Denmark and Norway on board Viking Sea. 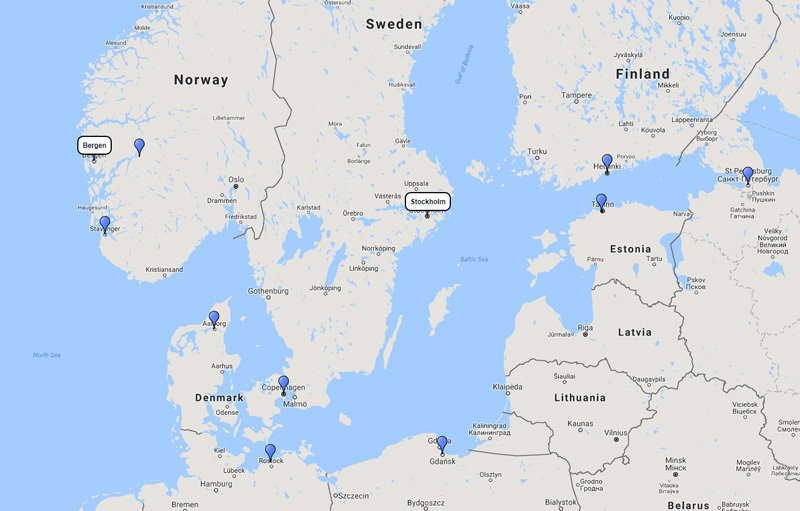 Visit Helsinki, St. Petersburg, St. Petersburg, Tallinn, cruise, Gdansk, Warnemünde (Berlin), Copenhagen, Alborg, Stavanger, Eidfjord and disembark at Bergen, Norway. Viking Sea leaving Stockholm, Sweden for 14 nights from 29 August 2019.